The Internet company Google is testing its newest device, Google Glass. 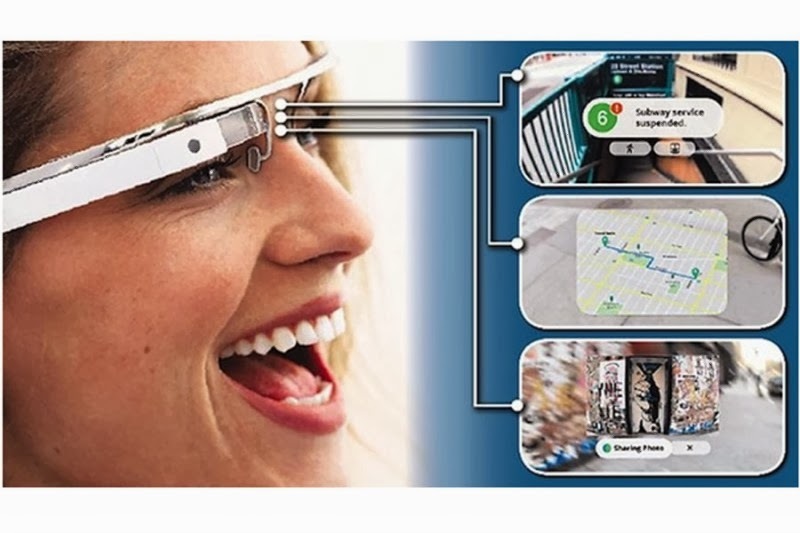 Most of the technologies for Google Glass are already available on smartphones. What is different is that Google has taken those technologies and added them to eyeglass frames. Chris Dale is the senior manager of communications for Google Glass. He says the device is a very small computer that sits in a lightweight frame and is positioned above the eye. He says it makes exploring and sharing the world around you easier. The glasses have a tiny video screen and camera that connect wirelessly to the Internet through Wi-Fi, a smartphone or a tablet computer. You can make and receive calls, send and receive texts, take pictures, record video or search the web. You control Google Glass using your voice and a touchpad on the right temple arm of the frame. Professor Marcia Dawkins is among a group of people who have tested Google Glass. She thinks she could use the device in her classroom. Her Google Glass looks like a pair of bright orange glasses, but without the lenses. There is a tiny rectangular glass at the top right corner. She has been recording videos while biking. She has also been able to talk to her sister in Thailand. But not everyone is excited about Google Glass. Some are concerned about risks to privacy. They say the device will make it easy to video people without their knowledge. There are also concerns about the use of facial recognition technology. Google says it will not approve the use of such applications. The company says it is still testing Google Glass and hopes to make it available by early next year. For VOA Learning English, I'm Alex Villarreal.